If you read this site regularly, odds are you’re familiar with mindfulness, and you may even meditate regularly. 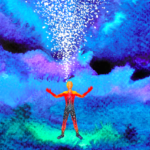 It’s a simple practice that can dramatically improve our physical, mental, and emotional well-being, since it helps ground us in the present moment, and frees us from the burden of dwelling on the past or worrying about the future. 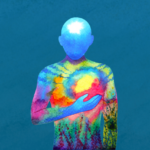 Whether you’re new to mindfulness or not, you’ll likely find some helpful tools in The Mindful Manifesto: How Doing Less and Noticing More Can Help Us Thrive in a Stressed Out World. Straight-forward and comprehensive, the book offers detailed instructions to retrain our minds—and be kind to ourselves in the process. 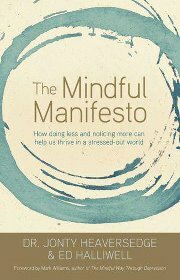 Mindfulness teacher Ed Haliwell, who co-authored The Mindful Manifesto with Dr. Jonty Heaversedge, took some time to answer a few questions about the book; and he generously offered to give away 5 copies to Tiny Buddha readers. If you don’t have a Twitter account, you can still enter by completing the first step. You can enter until midnight PST on Friday, April 6th. 1. Tell us a little about yourself. How did you come to teach mindfulness? I came to mindfulness practice when I was experiencing a lot of stress, depression and anxiety. I kept searching for ways to change how I was feeling, and several people suggested learning to meditate. I connected very strongly with the practice; it offered a way to work with things in a way I’d not realized was possible before, and gradually, I started to manage more effectively. I’m a writer, and it seemed natural to gravitate towards writing about mindfulness. Eventually, it felt like a natural step to learn to teach others. 2. What inspired you to write The Mindful Manifesto? Primarily, I wanted to share the benefits of mindfulness with other people. I was becoming aware of the impressive scientific studies that show how mindfulness helps, and I wanted to write a book that could speak to people who might not naturally be inclined towards meditation practice. As a family doctor and meditator, my co-author Jonty Heaversedge also wanted to would help people better manage their health, so we teamed up. 3. In Chapter One, you suggested that striving to make things better in the world might be part of the problem. Can you expand on this? To use my own experience as an example: when I felt unhappy, I rushed round desperately trying to make myself feel better. I tried all sorts of therapies, made big lifestyle changes, read hundreds of books—anything to try and make the pain go away. But it was this pattern of striving that was a big part of why I felt so unhappy. I think a lot of us get caught in similar patterns—we struggle with how things are, trying to get away from the present moment. But actually, the present moment is the only place we can be, and so the first step to effective changes is to learn to work with what’s actually happening now. That’s what mindfulness helps with. When I learned to practice meditation, I started befriending my experience, and curiously, my anxiety and depression began to lift. I wasn’t fighting with myself so much anymore. It’s not working for a better life or a better world that’s the problem; it’s how we go about it. 4. What has science taught us about mindfulness? The research shows that mindfulness can help people with a range of health issues—from preventing relapse into depression, to working with chronic pain and illnesses like cancer, as well as helping people manage stress more effectively in lots of other life situations. The neuroscience is also fascinating—the brain is far more plastic than was once thought, and training in meditation results in shifts in both activity and structure that are correlated with well-being. There are also studies looking at mindfulness in schools, in business, even helping with stress in the military. The Buddha said that mindfulness was “all-helpful.” The science seems to be suggesting he was right. 5. What are the four foundations of mindfulness? It’s a traditional way of training ourselves to notice what’s happening in our bodies, our minds, our feelings, and in the world around us. We felt it important to acknowledge that the practices now being validated by science aren’t new, and that there is a great wealth of wisdom on mindfulness that has been passed down to us. In the book we explore some of this history, as well as presenting the four foundations from a practical and scientific perspective. 6. In Chapter Three you talked about mindfulness of the body. Why do you think we struggle with our bodies so much? In western culture, we aren’t really taught to pay attention to our bodies, except perhaps as vehicles for getting us about and achieving goals. Most schooling is about getting information into our heads, and so we don’t tend to value the signals from our bodies—sensations and emotions that tell us a lot about what’s going on. We can be so disconnected from our bodies that we don’t take much notice of them until they break down. Even then, we often struggle to fix them just so we can go back to ignoring and abusing them. 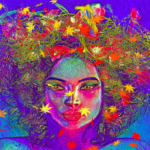 With mindfulness, we can learn to cultivate a more embodied way of being. This can bring many benefits, from better health to more intuitive decision-making. 7. You shared stories from many different people in your book, highlighting the transformative power of mindfulness. Was there any one story that really stuck with you? There’s one story I find especially moving. It’s about a man who came to mindfulness when he was referred to a course by his doctor as a treatment for recurrent depression. He wasn’t sure what to make of his doctor’s suggestion. When he thought of meditation, it reminded him of his youth –the Beatles, wearing kaftans and burning incense—and he wasn’t really into ‘hippie’ stuff. But he went along, and found it really helpful. He later found out he had bone cancer, and said that he could use what he learned during the mindfulness course to help him cope with the cancer, even practicing on his hospital bed before chemotherapy. It also helped him not get sucked into depression, and to carry on with life. I find that really inspiring. 8. At one point in your book, you used the term “self-parenting.” Can you talk a little about this, and why we need to do it? When we are small, hopefully our parents are there to care for us, giving us a hug when we’re upset, or watching us so we don’t get into danger. Gradually, as we get older, we learn to do this for ourselves. But even if we don’t learn those skills as children, mindfulness training seems to be a way of offering that same sense of compassionate self-care to ourselves as adults. We can train ourselves to notice when we’re getting drawn into unskillful actions, or getting caught up in unhelpful thinking. With mindfulness, we can learn to parent ourselves, giving ourselves a hug and being our own skilful advisor. 9. How can mindfulness help with addictions? Mindfulness teaches us how to manage our impulses. We learn to stay with our experience, to befriend our feelings, even when they’re unpleasant. We create a space between our impulses and our actions, and so create the possibility of choosing differently. 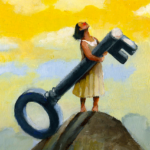 If we’re in the habit of smoking, or compulsive shopping, or eating too much, or whatever our addictive pattern might be, we can learn to observe what comes up in our bodies and minds, and tolerate our thoughts and feelings without automatically being pulled into smoking, or shopping or binging, or whatever. The more we practice, the better we can become at regulating our emotions and stepping out of automatic pilot. 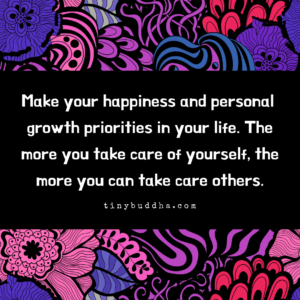 This doesn’t just go for what we might classically consider an addiction, but for any behavior that get caught up in and which isn’t doing us, or those around us, much good. 10. What is one simple practice we can use for mindfulness in everyday life? When I first learned to meditate, my instructor told me to bring awareness to drinking one cup of tea each day. To really notice the sensations of holding the cup and bringing it to the lips, the warmth and wetness of the tea on my tongue, and how it felt to swallow the tea into my body. 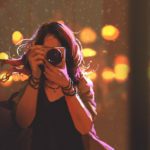 If we can practice pausing and paying attention to something simple like drinking tea, or eating a meal, or watching a tree sway in the breeze, then we are beginning to create the conditions for experiencing and appreciating the full richness and magic of our lives, even when they might seem very ordinary. We can then start to extend this sensory awareness out to more and more daily activities, as well as cultivating mindfulness with the help of formal meditation practice, for which I’d strongly recommend seeking out an experienced teacher. 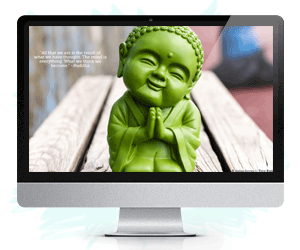 Learn more about The Mindful Manifesto here. 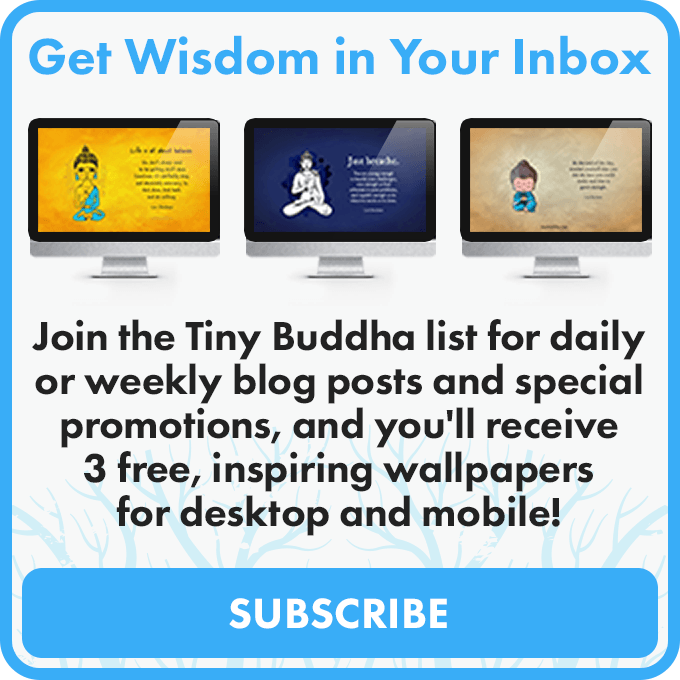 FTC Disclosure: I receive complimentary books for reviews and interviews on tinybuddha.com, but I am not compensated for writing or obligated to write anything specific. I am an Amazon affiliate, meaning I earn a percentage of all books purchased through the links I provide on this site.